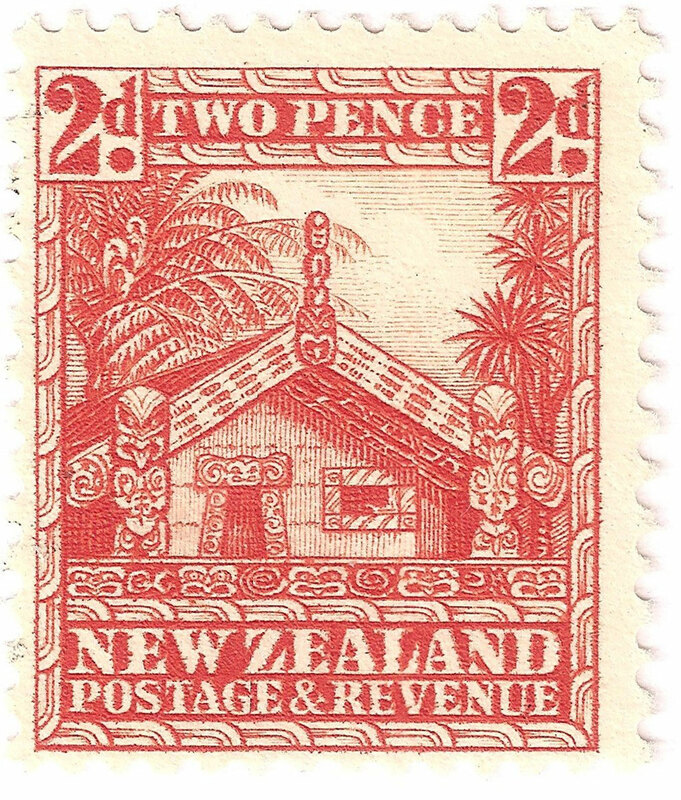 2d Whare - New Zealand Stamps, A 1935 Pictorial overview. 2d. Maori meeting house or 'Whare' with its ornate carving at the apex of the roof called a 'Tekoteko'. With a punga tree fern on the left and a cabbage tree (cordyline australis) on the right. Designed by H W Young. 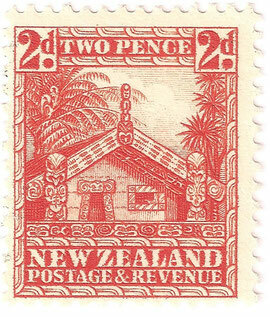 Stamp size; 21 x 24mm.